In Vikings: War of Clans, the land that you live in is violent and bloody in nature. However, in the northern Kingdoms the Vikings can always rely on their brothers-in-arms and spend time with their beloved clansmen. Clans consist of a Chief. They are the ones who runs the organization from the top down. The Elders and Warlords carry out the Chief’s will. The Chief commands, forms general strategy, and makes decisions, but the main power of the alliance comes from its members whose Clan is now their home. Clans, and the Kingdoms that they reside in, are the topics of this guide, and will be explained in greater detail as we progress through this guide. 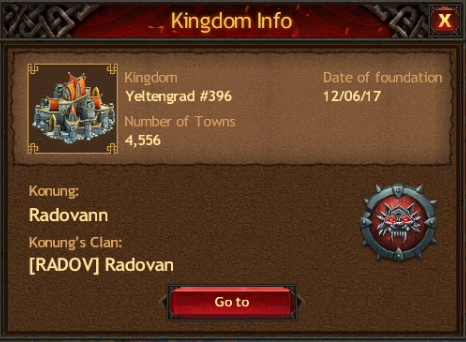 When you first enter into the world of Vikings: War of Clans, you will be automatically join the most recently created Kingdom. For example, when this guide was being written, the Yeltengrad Kingdom (No. 396) was founded, and the Jarls who joined the game became a part of it. A Kingdom’s young age doesn’t affect your success and development in Vikings: War of Clans – you are in same conditions as other Jarls. For 30 days from its foundation, the Kingdom will be protected from enemy invasions. When this time has passed you will be able to take part in global Competitions. Your opponents will be relatively new Kingdoms that match you in strength. 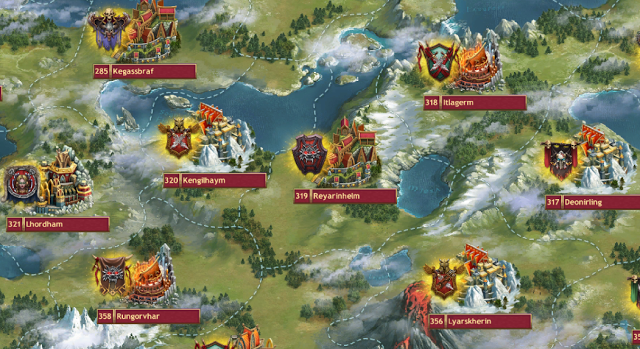 To see your potential rivals, visit the Kingdoms Map. You’ll be able to scan the map and view other Kingdoms, and the clans that call them home. Some are new, and some are as old as the founding of the realm itself. In Vikings: War of Clans every Jarl must protect their Domain, which is the source of their power and military might. Once you venture forth into your Kingdom, you will begin to establish your very own Town, from which you’ll be able to control resource production, reinforce your troops, and develop in all areas by yourself. However, in time it will become harder for you to manage some tasks alone and you’ll start to look for new solutions. This is where Clans come into play. You can begin the process of applying to various clans that peak your interest, and becoming an exemplar Ranker. Alternatively, you can be one of the few brave Jarls that strikes out and founds your own Clan. Become a great Chief to the brave men and women who call you their leader. 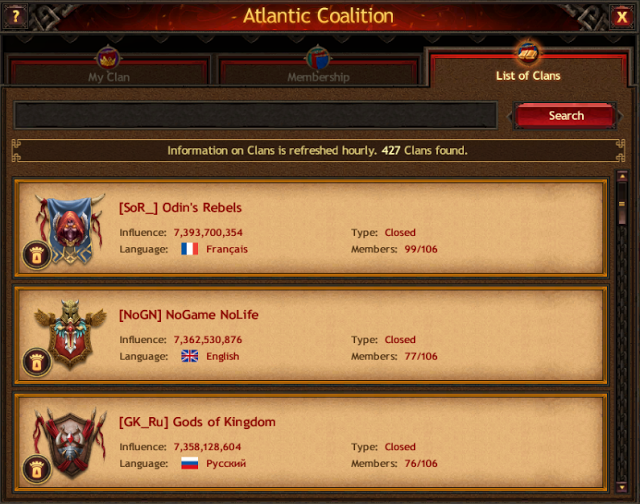 In the Clans list page, click the Clans icon on the bottom of the page to open the list of all Clans in your Kingdom and see basic information about them. You can see how much influence each Clan has, their membership requirements, the predominate language members are expected to speak, and how many total members they have. After becoming a Clan member, you will gain new friends and be able to fight off enemies together with your clansmen and participate in the grand battles that Vikings: War of Clans is famous for. Play Vikings: War of Clans NOW!